If you’re looking for insulation contractors in or around Indianapolis, Indiana, look no further than the experts at 31-W Insulation. Since 1972, we have been the company that homeowners throughout the southeastern United States have relied on for their insulation needs. By offering top-brand insulation products and knowledgeable professionals, we are able to provide superior insulation services from start to finish. Identify damaged insulation that needs to be replaced – Insulating material that is disintegrating, compressed, or stained with water or mold has lost its ability to insulate properly and may also pose a health hazard if it’s not replaced. Identify areas with inadequate insulation – If the insulation in your home was not installed professionally, there may be gaps and spaces or areas where the insulation is missing altogether, leading to a reduced insulating effect throughout your home. Make recommendations on products – Based on your home’s current condition, our insulation contractors can recommend products with appropriate R-values, or insulating capabilities, that will provide the insulation you need for your home. 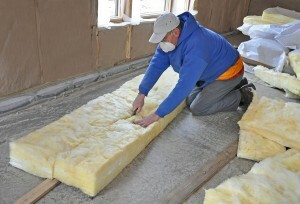 Schedule an installation – Our insulation contractors can typically complete your installation over the course of a single day, allowing you to start enjoying the benefits of the new insulation as soon as possible. For more information about our services, or to schedule a consultation with one of our insulation contractors in Indianapolis, Indiana, contact 31-W Insulation today.